When will be The World's Most Extraordinary Homes next episode air date? Is The World's Most Extraordinary Homes renewed or cancelled? Where to countdown The World's Most Extraordinary Homes air dates? Is The World's Most Extraordinary Homes worth watching? Award-winning architect Piers Taylor and actress and property enthusiast Caroline Quentin (who previously presented Restoration Home for BBC Two) explore a range of incredible architect-designed houses in extreme locations around the world.Whether built into the side of a cliff, nestled in a forest, perched at the top of a mountain or under the earth, these are homes that connect to their environment in a spectacular way.Each episode of the 4x60' series is themed according to the houses' environments: Coast, Forest, Mountain and Underground, with Caroline and Piers travelling to locations ranging from North America, Australasia and Europe.To explore how these dramatic designs function as both works of architecture and as real houses, they stay overnight, eat meals and spend time in the homes. 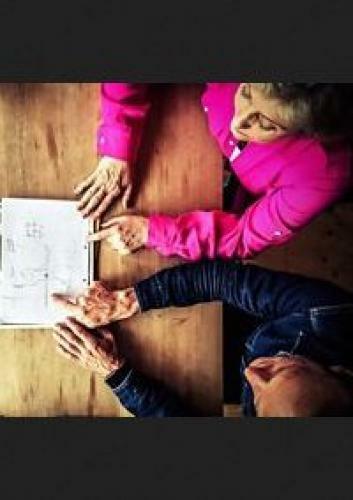 Piers and Caroline are a new and entertaining pairing of a property expert and an architect, both bringing their own expertise, humour and experience as they meet some of the owners and architects of these incredible buildings. Piers Taylor and Caroline Quentin explore bold and extraordinary homes in Spain, a country renowned for experimental and fearless architecture. They include a metal home in the foothills of the Pyrenees that is more like a piece of art, an architect's home in Madrid made of seven vast concrete and steel beams and a space-age circular building in the wilderness of Aragon. Piers Taylor and Caroline Quentin travel to India, where traditional architecture meets cutting-edge design in stunning family homes. The first stop is the House Cast in Liquid Stone. Built in the highlands outside Mumbai, it is part brutalist fortress, part traditional Indian courtyard house and designed to be like 'chocolate sauce poured over vanilla ice cream'. Nature has been fused into the design, from the basalt quarried from beneath the building to the wild grasses and trees that grow freely amongst the living rooms and courtyards - in a house where you are never entirely inside or outside. In the epic, mountainous scenery of the Western Ghats, they discover the 'House of Three Streams.' Built by using bridges to link the only areas of the hillside flat enough for construction, it is a delicate weekend home that rests gently on the landscape. The name describes waterways that form during the monsoon rains and cascade through the building itself. With a swooping zinc roof, little in the way of walls and no front door, Piers says 'houses are better when they don't try to look like houses'. The third home is a stunning riverside bolthole. 'Riparian' draws on Indian architectural heritage in an homage to the tea plantation Veranda house- but this one is half buried in the riverbank. The subterranean build and turf roof defend the house against the monsoon rains and scorching summer heat. But despite Caroline 'embracing her inner badger', it turns out the house is a light and airy gateway into a rural idyll. The final destination is 'Collage House.' Piers and Caroline are greeted by a facade made up entirely of recycled doors and windows, hung within a concrete frame- all reclaimed from buildings that were demolished to make way for city skyscrapers. Inside they find a kaleidoscope of old materials, given new purpose in a witty and visually stunning family home. Leading Piers to proclaim 'the future of architecture? I think it's this'. Piers Taylor and Caroline Quentin head to Norway, where architecture is influenced by incredible landscapes and extreme climate. They begin on Vega Island, 600 km north of Oslo near the Arctic Circle. It is the stunning location of Vega Cottage, a truly remote family retreat delicately perched on rocks and overlooking the beach. The architects' challenge was to create a home that emulated the traditional fishermen's huts nearby and left the surrounding landscape completely untouched. The result is a beautiful but modest home - the epitome of Norwegian understatement. The second home on their journey is in Valldal, where Summer House teeters on a cliff, overlooking the beautiful fjords. Here, Jan Jensen, one of Norway's most exciting architects, has created an eye-opening eagle's nest of a home. It is a mixture of spaces built into and around the rock face with a series of elevated bedroom pods held aloft on stilts. There is also a mammoth rock face in the living room and an infinity pool hanging in space. Piers Taylor and Caroline Quentin are in Israel where exciting modern houses are inspired by rich cultural and historical traditions. J-House house is in Herzliya, a millionaire's playground by the Med. It is a palatial white home tucked away in a suburban plot and reached by a bridge over lush gardens. Piers and Caroline discover luxurious, warm and vibrant interiors that contrast with the modernist facade. Glass walls open up to connect the entire living area with the gardens and pool. The World's Most Extraordinary Homes next episode air date provides TVMaze for you. EpisoDate.com is your TV show guide to Countdown The World's Most Extraordinary Homes Episode Air Dates and to stay in touch with The World's Most Extraordinary Homes next episode Air Date and your others favorite TV Shows. Add the shows you like to a "Watchlist" and let the site take it from there.